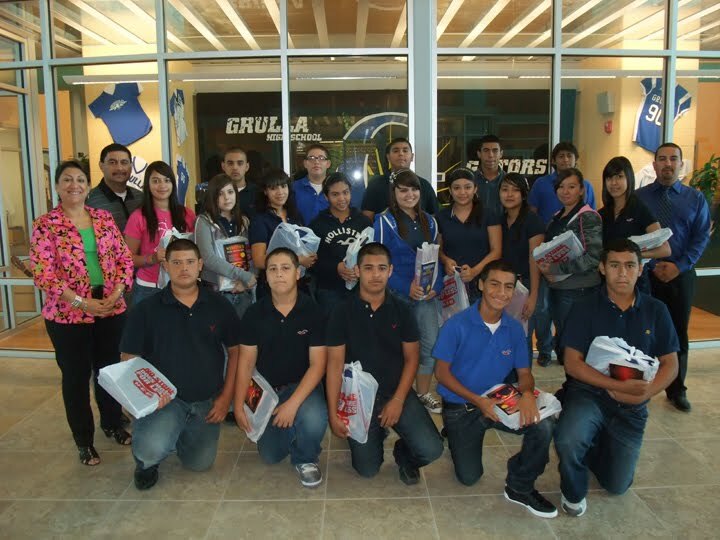 RGCCISD Grulla High School and Rio Grande City High School receive school supplies from the United Way for incoming freshmen students. Project Fresh Start is an endeavor started by the United Way of South Texas this year to help students start the school year with basic supplies. In addition to school supplies, both RGCCISD Grulla High School and Rio Grande City High School were given sets of dictionaries, thesaurus' and map colors for several of their classrooms. This project is possible with the monetary contributions to the United Way. 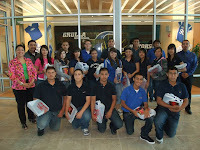 Pictured; RGCCISD Grulla High School 9th Grade Students and Administrators Mr. T.J. Gonzalez-Vice Principal and Mrs. Armandina Villarreal-Librarian. RGCCISD photo.